My taste buds tell me that Purefoods finally met its match with Virginia Hotdogs. The little-known hotdog from Cebu I first tasted in Robinsons Pioneer gave that unforgettable taste that brought me back to my childhood days. You probably haven’t heard of the brand but so far it’s convincing a lot of kids and adults alike. The brand is faster getting its name known for the tasty and savory taste that Purefoods is also known for BUT with lesser salt. I know because I grew up with Purefoods and you can test it too yourself. 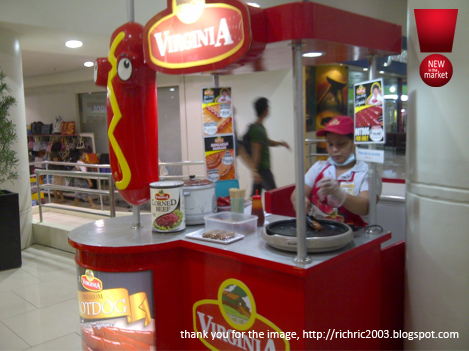 If you are a Purefoods lover like I am but you’re also looking for an alternative to a hotdog that tastes great and less salty then you might want to try Virginia Hotdogs. Their better-tasting sausages come in regular red color (pork) and brown (beef) color. Their price is better too because they cost lower than Purefoods Hotdogs. If Purefoods can only come out with another version of hotdog that is more affordable and tastes better then I would say that they really care about their main market. It’s no longer, “Kids Can Tell” but I can too because my son, loves it.